Amy Harding is a dancer, teacher, and choreographer constantly working to expand expression through movement. Her contemporary choreography fuses ballet, modern, and jazz styles. She is an honors graduate and award recipient of the University of the Arts of Philadelphia, PA where she studied multiple forms of dance with an emphasis in Jazz Dance Performance. As a performer, Amy had the pleasure of working with choreographers Wayne St. David, Beth Hirschhaut-Iguchi, Roni Koresh, and Faye Snow in Philadelphia, PA as well as performing with the Carol Solomon Dance Company in Los Angeles, CA. Amy has taught all ages and levels from coast to coast and has held professional workshops for dancers at the Performance Garage of Philadelphia, PA. In 2007, she created Alchemy Dance Company from a desire to share, inspire, and entertain. Her contemporary movement style is continually evolving as is her dance company. Amy's choreography has been featured in the PIFA Festival, Philly Fringe Festival, Philly Dance Fest, Garden State Dance Festival, Project Dance Festival, 5th Annual Jam for Jess, Koresh Artist Showcases, Mountain Dance Festival, Philly Dance Collective, Inhale Performance Series, Outlet Dance Project, Norristown Dance Festival, and other local and regional performances. Jonathan Bowles is a Philadelphia native and graduate of The University of the Arts with a BA in Film/Animation. Largely self-taught in areas of music composition and costume design, Jon’s creativity knows no bounds. During his time as a student, he created music for multiple UArts student films and animated features some of which were award-winning. Jon later moved to Los Angeles, CA where he was commissioned to compose music for videos by Dragonfly Productions and Bina Productions. He also continued work as a sound designer for Dinamation Studios and many local arts organizations. Current commissions for sound design/music composition include Koresh Dance Company, Alchemy Dance Company, The Paula Kearney Dance Studio, and private clients. 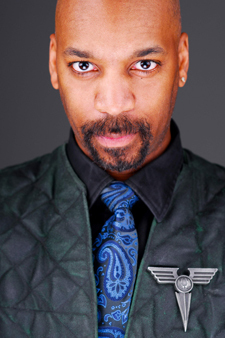 In addition to music composition and sound design, Jon has a variety of experience as a costume/garment designer. He has been commissioned to produce anything from Alien costumes to wedding dresses and is known for creating period pieces and sci fi style clothing. Jon currently produces costumes for Alchemy Dance Company and private clients.